Soft, romantic candle glow - nothing quite compares when setting the scene at weddings, special events or at home and nothing does compare to our Set of 12 White Taper Candles with a burn time of 9-10 hours! 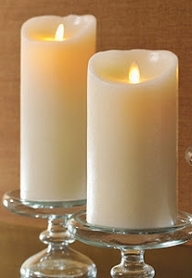 These Real Wax Candles are unscented, 3/4" wide at the bottom by 12" tall. 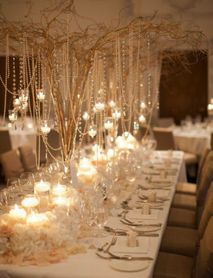 For event planners, bars, lounges and restaurants that burn candles nightly these dripless tapers are a dream! 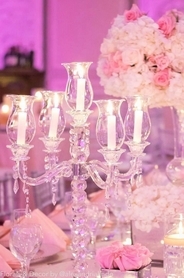 Tall and elegant, easily create sophisticated centerpiece designs by using these tapers with Real Crystal Candelabra. From extravagant affairs and romantic evenings to rustic outdoor get-togethers, candles set the stage for memories, laughter and warmth. 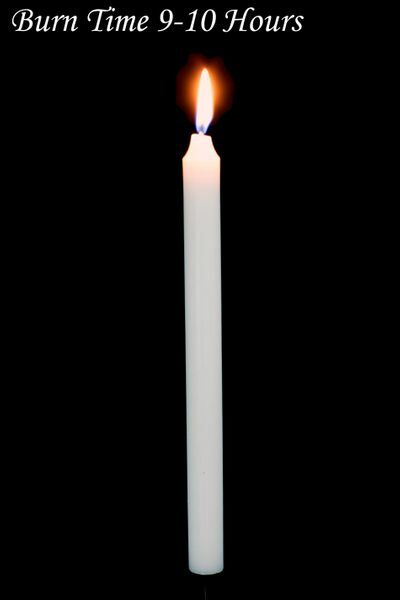 Let these long burning candles set the stage for your special event!